As I try to prepare something of a final speech to deliver at my last opening at Fresh Gallery Otara next week, I’ve been reflecting on the people who have been influential and significant in my curatorial practice and life in general since the Gallery opened in 2006. This is a piece of writing about Leilani Kake that didn’t quite work out for its intended destination. I have a conflict of interest with Leilani because I suspect she is my muse, and I will always sound ‘advocatey’ for her, because I am in fact, her biggest fan! Leilani Kake is an artist who hasn’t been around for a long time, but she knows where she stands. Her work is informed by a distinct and intimate relationship with her past and her role as a caretaker for the future. She is grounded, firmly and profoundly. A heightened sense of self and place is perhaps a result of her bicultural heritage: Kake is of both indigenous New Zealand Māori and Cook Islands Māori descent. Whilst culturally connected, colonisation and displacement has evolved the relationship. As a resident of New Zealand, Kake straddles two worlds; that of being indigenous or tangata whenua, and also classed as a Pacific Islander, the community of Pacific Island people living in diaspora, once migrant and now predominantly New Zealand-born. Kake’s experience is even broader still; born in Rotorua and raised in Papua New Guinea, Australia and South Auckland, she has long understood the ways in which the world defines her. Her identity and the shared experiences of people and practices that emphasise connectedness are a running theme in her work. Her family is a primary source of inspiration, and working in the relatively non-commercial medium of video installation, Kake’s family and extended community are a significant core audience for her work. As inspiration and audience, Kake’s family are often performers and subjects in the artist’s emotionally charged video installations. In Talking Tivaevae (2005), Kake’s in-laws performed and participated in the making of the work, the video component as well as the hand-made Cook Island quilt or tivaevae. 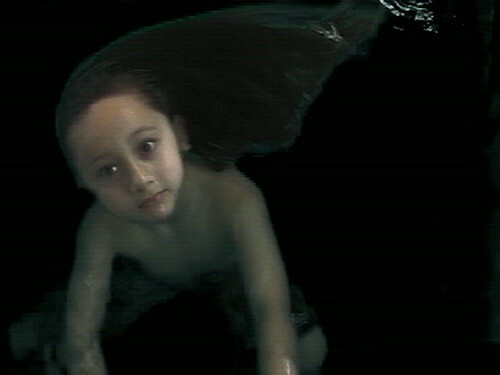 Ariki (2007) was the first work of series documenting the development and influences affecting her son, Andre’s life. In 2008, Kake moved from a staged performance based approach to real-life documentary style with her three-channel video installation, Tino Rangatira Tanga, a moving tribute to her late father, Richard Kake. Since 2007, Kake has premiered her new works at Fresh Gallery Otara, a community gallery in her local suburb of Otara, South Auckland. In every case, the works have gone on to be shown nationally and internationally, but it is her core audience who she gives priority to. Like many Pacific artists who draw inspiration from their communities, Kake places a Pacific Island audience in high regard in terms of presenting new work. Fresh Gallery Otara’s predominantly Pacific Island and youthful audience exposes artists to opinions and feedback based less on academic paradigms and more on cultural symbolism and meaning, feeling and relativity to popular culture and lived experience from the position of South Aucklandat the centre. Kake has always thrived on this feedback and audiences have always responded to her work in significant ways. Her 2007 and 2008 works, Ariki and Tino Rangatira Tanga, about her then 5-year old son and the impending separation of his parents, and the life and death of her late father, have moved many viewers to tears. Kake’s 2011 work, Ngā Hau E Whā – The Four Winds, inspired high levels of awareness of the disproportionate statistics of Māori and Pacific Island women and cervical and breast cancer related fatality. Whilst Kake’s work is at home in South Auckland, it loses nothing when exported. Curators have been drawn to the insight and intimacy her work offers. With work being shown in Taiwan, San Francisco, Paris and Hawai’i, Kake’s connectedness, familial relationships and conversations about life and death, transcend cultural contexts. In 2012, Kake juggles teaching, post-graduate studies and preparation for a significant new work that documents her son’s traditional Cook Island hair-cutting ceremony. The artist’s 2007 work, Ariki, has also been re-made for a showing at Auckland Art Gallery in July. 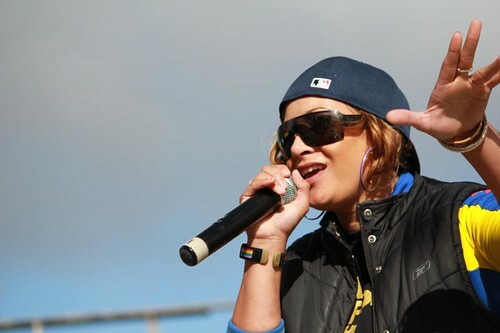 South Auckland’s own FMC VXN has launched her debut music video for SOS (Sound of the Streets), a dream project realised after winning the Hustle It Fresh talent contest televised in 2011 on TVNZ’s Polynesian youth show, Fresh. FMC VXN performed at Fresh Gallery Otara’s WHITE NIGHT event, part of the 2011 Auckland Arts Festival and again at the NiuFM Grassroots Mixer concert, part of the 2011 South Auckland Pacific Arts Summit (below). FMC VXN has been part of the Fresh Gallery Otara community since the gallery was established in 2006, mostly via her sister, Leilani Kake. Leilani directed the music video for SOS (Sound of the Streets) with Tanu Gago; it was an awesome project to be part of various capacities. TVNZ’s weekly Pacific Island affairs programme, Tagata Pasifika aired this story about two artists I work closely with, Leilani Kake and Tanu Gago on 18 November 2010. At the time, Leilani was showing her 2010 video work, Kia Ora 2 Kia Orana in manu toi; artists and messengers curated by Nigel Borell for Mangere Arts Centre – Nga Tohu o Uenuku, and Tanu’s solo, YOU LOVE MY FRESH was showing at Te Tuhi Centre for the Arts in Pakuranga. YOU LOVE MY FRESH has been extended one week and now will be shown until 12 December 2010. Next year, Tanu is involved in a group exhibition curated by Reuben Friend for Deane Gallery, City Gallery Wellington opening in January. I am curating Leilani’s next solo exhibition, Nga Hau E Wha – The Four Winds – a four-channel video installation at Fresh Gallery Otara for the 2011 Auckland Arts Festival in March. Leilani and I are trying to generate funds to participate in the Association for Social Anthropology in Oceania Symposium in Hawai’i in February. We have proposed to discuss the construction and context of Nga Hau E Wha – The Four Winds in a session entitled, Refashioning the Body: Building Critical Theory Across the Pacific. A 2011 Colour Me Fiji fundraising T-shirt is in production!